WASHINGTON — United Launch Alliance took delivery of a pair of Russian-built RD-180 rocket engines Aug. 20, boosting the inventory at the company’s Decatur, Alabama, assembly facility to 15, the company said in a statement. “We expect another shipment of three engines later this year,” ULA spokeswoman Jessica Rye added. The engines, which power ULA’s Atlas 5 rocket, are produced by NPO Energomash of Khimki, Russia, and imported by RD-Amross, a joint venture between Energomash and United Technologies Corp.
Mark Peller, ULA’s director of the hardware value stream, said earlier in August that those three engines should arrive in October. Between 2015 and 2017, ULA expects Energomash to ship eight RD-180 engines a year, Peller said. Denver-based ULA, a joint venture of Boeing and Lockheed Martin, uses the Atlas 5 along with its Delta 4 rocket to launch the vast majority of U.S. government payloads. Future availability of the RD-180, particularly for U.S. military missions, has come into question amid a decline in U.S.-Russian relations following Russia’s annexation of Crimea and continuing threats to Ukraine. The uncertainty has put momentum behind proposals to develop a new liquid-fueled main engine in the United States. In June, ULA signaled its willingness to get involved in domestic production of an RD-180 alternative by entering into what it called feasibility studies with undisclosed U.S. industry partners. The company said then it hoped to choose a single engine concept by the fourth quarter of this year, with a first launch targeted for 2019. 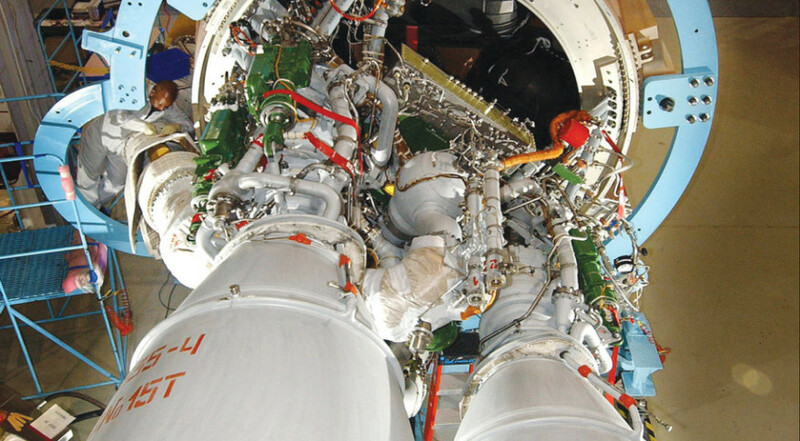 More recently, however, the company has emphasized that RD-180 engine deliveries are continuing unabated despite heightened tensions between Wasington and Moscow.